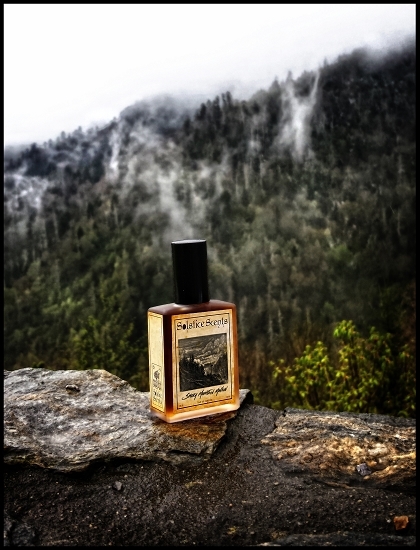 A sweet and very smoky scent reminiscent of the smell of chimney smoke in the cold winter air and the comforting aroma of the fireside. There are layers to the smoke accord created in this scent. 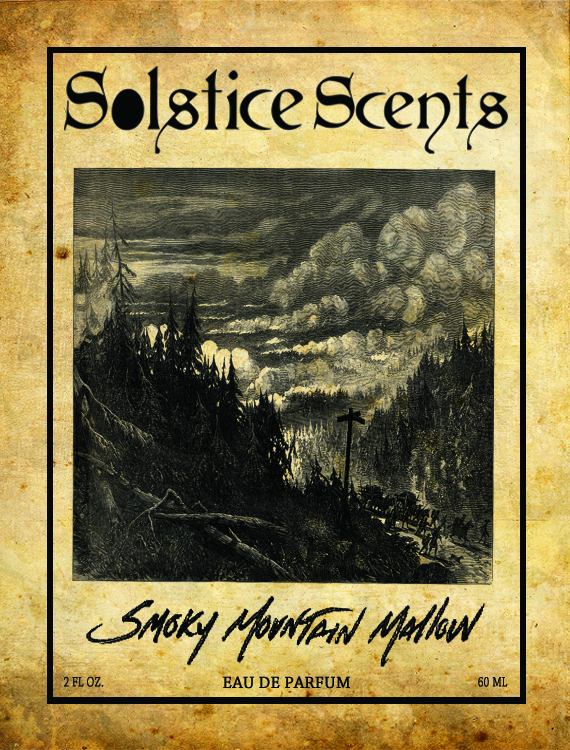 It is rich and warm and smells of campfire smoke that clings to your clothes and burning woods with a hint of soot, char, ashes and glowing embers all at once. The sweet marshmallow adds a creaminess that rounds out the strong smoky profile. Lapsang Souchong C02 (smoked tea), precious fossilized amber resin, sweet guaiacwood, golden resinous labdanum, wood smoke, fluffy marshmallows and a touch of nutmeg essential oil combine to provide an extremely atmospheric and delectable experience. Initial application of this scent is very smoky, akin to burning wood and campfire smoke with a little sweetness underneath and a whiff of nutmeg essential oil. After a few minutes the smoke softens and the moderate sillage will gently waft around you through the length of its wear, smelling like a distant fire on the wind. The marshmallow does become stronger, sweeter and more apparent the longer this wears on the skin. Smoky Mountain Mallow will take you on an amazing scent journey!